Jacksonville, FL (March 30, 2017): David Weekley Homes is hosting the World’s Largest Showcase of Homes in cities across the country. From April 1-30, the community is invited to visit any model or showcase home in Jacksonville to see current innovations in design and décor trends. To celebrate the event, Ronald McDonald House Charities of Jacksonville will receive a $5 donation for each visitor who registers with a sales consultant during the month of April. In addition, each registered visitor will also be entered for a chance to win one of three prizes: a smart watch, $1,500 appliance package or $2,000 electronics package. This donation is an initiative of the company’s CARE program, which is a charitable and volunteer program that joins team members with homeowners, homebuyers, community partners and local nonprofit organizations to live out its purpose, Building Dreams, Enhancing Lives in all the communities in which it builds. This is accomplished by team members volunteering countless hours to different organizations in their communities and by The David Weekley Family Foundation donating more than $100 million to a variety of organizations throughout the U.S. and abroad over the past 20 years. 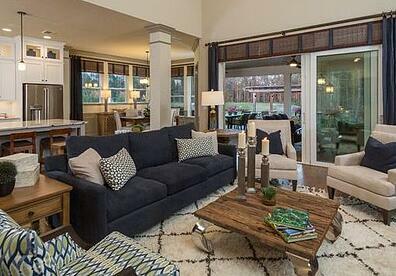 Right now, there are almost a dozen designer-decorated homes by David Weekley within the Nocatee community. To locate and plan your upcoming visit, CLICK HERE. 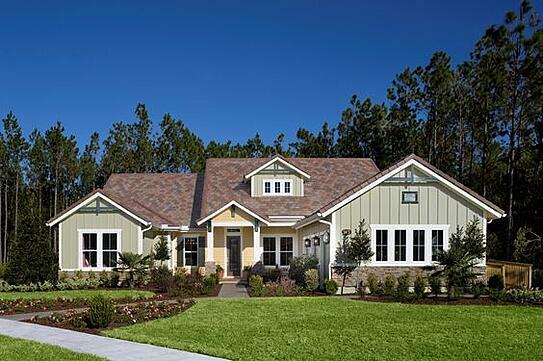 To learn more about the master-planned community, explore Nocatee.com or stop by the Nocatee Welcome Center.